Nothing says stud like a guy in orange earmuffs! However, the second wave of gifts has been equally illustrious. From way up in Canadia, The Ryan sent me some retro Denver Broncos earmuffs. This gift was equal parts weird and glorious. Although if it has the D logo from the 1980’s on it and it’s bright orange…it’s probably going to find my favor. This is how you're supposed to keep football men, in their box. The second gift I received was from Joe out in Maryland. He sent me an Earl Campbell football man. Which I thought was a much better selection than the guy he told me he was looking for, which would have been a Jamarcus Russell football man. I dig the MacFarlane football figurines, and now I own one of my very own. I know you’re supposed to be cool and leave them in their packaging, but screw that. Earl Campbell is now perpetually ready to break tackles on my desk at work. I didn't want to keep Earl trapped in plastic, though. My desk at work...Earl Campbell adds just the right touch. 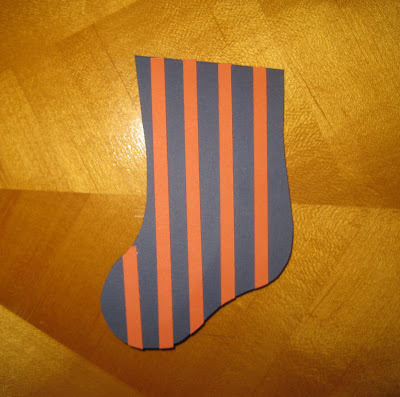 Joe's wife even made a vertically striped sock with construction paper which doubled as a card. It was very creative, and I dug it, even if the colors weren't right. So thanks to The Ryan, and as become custom to say around the DAMNradio.blogspot.com chatroom, "Thanks Joe!" Episode 40 was strong. The Ed was at the peak of his powers as he talked about his upcoming elective surgery and called in to the show to scare us with both his big tough man voice and his woman voice. He even said, "I pity the fool" at my request, which was glorious. In addition to Ed, Face Ventura and the Whale helped me go through the Magnificent Seven greatest calls in sports announcer history. Number 6 was a personal favorite, even though it probably didn't belong on this list. I also played "Doug on Demand" a phone call with my best friend Doug Newton who tends to disparage the show, but the call had some good stories about his job as a dispatcher on the Colorado State Patrol as well as his admission to getting a tattoo of a lego man. Doug really likes legos. We also talked a little bit about Olympic hockey and curling, and I played a song to help enlighten people to the rules of hockey courtesy the Mike O'Meara show. The Vertically Striped Music Recommendation was the self-title album from "The Trampolines" which released in 2005. Reliving the best moment from last year's Bronco season. Ah, remember when the Broncos were the feel good story of the league after six weeks? Here is the play that sparked it all. If there was a crazier play in football last year (or last decade for that matter), I don't remember it. Since we were halfway through the Olympics, Craig, Face Ventura and The Whale decided to chat up the noteworthy events from Vancouver...and Craig had to share his distaste for "Men's" figure skating. We talked a bit about how it is better psychologically to win Bronze than it is to win Silver, or at least so say the scientists. We learned how the "Song of the Count" from Sesame Street could be, um, enhanced? (For Comedy purposes, at least.) Craig shared his painfully awkward Magnificent 7 list, finally. And Face Ventura made sure that everyone knew he expects to win the whole NHL 94 tournament now that we have made it to the elimination round. The Ed called in at the end of the show to talk a bit about his trip to Lubbock Texas where he had seen his beloved Red Raiders fall to the Texas Longhorns earlier in the day, and how he and Texas Tech coach Pat Knight were going to be having dinner with Under Armor big wigs that evening. The Vertically Striped Music Recommendation was "Rhythm of the Pridelands" Music Inspired by Disney's Lion King. Which doesn't sound nearly as cool until you listen to it, it's some good stuff. So, I came across this photo, and sent it to my friend/co-worker with the caption, "Do you know who this lady is?" in the email header. She responded in the best way possible, I laughed heartily at her response which was: "She kind of looks like a dude...but no, I don't. Who is it?" The reason this is the best possible answer which left me dying of laughter lies in the answer to who "she" truly is. The answer? Steven Tyler of Aerosmith. Dude looks like a lady, indeed. So I've been looking around forever for a good animated GIF of John Elway's famous helicopter spin in Super Bowl 32. After a ton of Google searches led to nothing, I finally figured if you want something done right, you've got to do it yourself. So if you searched Google to find this like I was, and you wound up on my blog. Help yourself, and Go Broncos! Okay, so perhaps it makes me a little overly sappy, but I thought this commercial nailed it. The Super Bowl is now overrun with commercials that go over the top or are dumbed down to the lowest common denominator in hopes for a cheap laugh. This commercial is elegant, smart, clever, emotional, and simple. A total winner. It wins my prize for best commercial of the Super Bowl, and second place isn't even close. I'm not entirely sure why Google felt the need to advertise, because really...who doesn't know about Google? However, with ad efforts like this one, I'm sure glad they went to the trouble. Well done Google. Not only do you provide me with excellent search results AND politely advise me of how badly I spell by saying, "Did you mean?" instead of, "Look dummy, it's spelled like this..." Now you also are putting out top notch commercials. Google for the win! So, how many days have you been on this earth? Is it more or less than you would have guessed? I'm at 12,187 as of the day I posted this. Seeing Baylen and Drew celebrating their big win put a smile on my face and delayed the offseason blues for a few days. It’s Wednesday, and it’s finally hit me. Football season is over. It took a little while to sink in, because I had to wipe the smile off of my face that was derived from watching the underdog Saints rise up to claim their very first Super Bowl Championship. I was rooting for New Orleans for many reasons. First of all, after all the crap the state of Louisiana has been through in the past five years, it’s nice for them to have something to smile about. No, winning a football game is not going to increase your area’s industry and job rates, it isn’t going to put food on the table, build houses or encourage infrastructure development, but if you’ve never had one of your teams win a championship, you know that it does make the rest of the crap you have to deal with a little bit less annoying, so I was glad for them. Secondly, Drew Brees is just so darn likable. Not only did he play a tremendous football game and totally deserve the Super Bowl MVP, but if you didn’t at the very least get a smile on your face when you saw Drew walking around a confetti littered field holding his little boy with a look of glee on his face, you have a heart of stone. 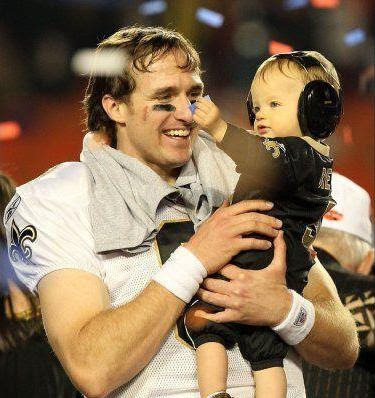 That Baylen Brees is adorable. Thirdly, I have to cheer for a Super Bowl team (as long as they aren’t playing against the Broncos) that decides to go for it on Fourth and Goal from the 1 AND decides to open the second half with a surprise onside kick. I am required to root for them. It’s a rule. If a team gets all gutsy in big situations, they have won my admiration. Even in situations (such as the 4th and Goal from the 1) when it doesn’t work out as planned, I still dig testicular fortitude. Fortune favors the bold, and New Orleans was BOLD. So I offer congratulations to the feel-good Saints, a fun and unpredictable team that surprised the sporting world by actually beating against Peyton Manning. (A guy who pregame pundits were declaring practically invincible.) I also thought that the Colts would prevail, but I guess I should have listened to my 2 year old son who predicted that the Saints would win big. He’s very good, that Luke Dodge. As the smile of watching Drew Brees celebrates subsides, however, I have come to the stark realization that we are now eight months away from meaningful football. Now, it’s not as if there are not other sporting options out there, but the end of the football season is a tough time for me. I enjoy hockey, baseball and puck, and the Olympics and World Cup are both right around the corner, so there is hope for the wayward sports fan, but when the football stops, it’s always a melancholy moment. Yeah, so the Saints winning 31-17 against the Colts was fun and surprising, but the real story on Sunday was the food. For those unfamiliar with my Super Sunday routine over the past five years, my buddy Doug and I have develped quite the concept. We have an unparty. We decided what we liked about Super Bowl parties was the football, food and commercials, and what we disliked was the party. The overabundance of humans makes it hard to follow the football, and almost as importantly...hard to hear the commercials. Our solution? The unparty. We load up on food, we gather around Doug's beautiful High Def television, and we pretty much lock out the world. Okay, so the whole concept of "unparty" has been stretched pretty thin lately since the past two years has not only included Doug and me, but also our buddy Bill...all three of our wives, and all five of our kids. Yeah, our "unparty" had eleven people at it, but we maintain that it is still an unparty because NO ONE else is welcome now. We've reached the cap. An unparty can have no more than 11 people. Sorry, no need to fill out an application to join, membership is now closed. The unparty is THE way to go, I strongly recommend starting your own next year. Anyway, when it came to food, We had the requisite chicken wings, buffalo chicken cheese dip, chips, popcorn, Chicken McNuggets, and Lil Smokies to beat the band, of course. However, the real Pièce de résistance was this beautiful and delicious cake, courtesy of Katy Newton. She made a Cardinals cake last year, which was very cool, and this year, she outdid herself with a pretty solid version of both the Saints and Colts logos. She's a very talented frosting artist, as you can see. 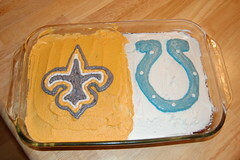 Anyway, congrats to Drew Brees and company, and here's hoping that next year the cake features a Broncos logo! 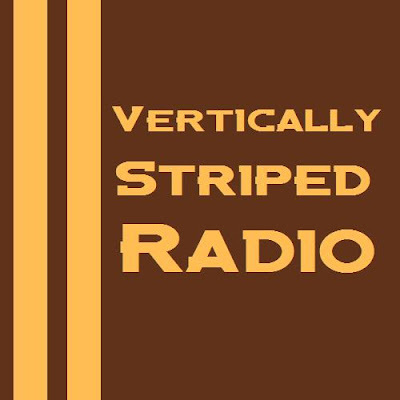 Super Bowl eve found Vertically Striped Radio in fine form. We spent some time yapping with Trace Smith of the Southeast Sports Beat who talked some Super Bowl and college basketball with us for awhile, then the Ed called in and Trace and Craig tried to keep up with the excited Colts fan. Then Face Ventura called in as we hashed out the final details of the NHL 94 tournament which is scheduled to start this evening and run through the next few weeks. Then we had a banner edition of Great moments in the history of Blog Talk Radio as we lived a moment from 2007 on the LCS show in which the LCS boys recreated a visit from the Ed to Dave Dameshek's sports contraption. Then VSR finished up with a quick music recommendation of the self titled album from 2005 by Apollo Sunshine. All in all, a fun, if Ed dominated, edition of the show. The Saints will have their hands full trying to stop this scene from unfolding in Miami. So, it all comes down to this, and all things considered, this is pretty good. We’ve got two teams, both who didn’t lose a game at all in the regular season until we were most of the way through December. Two number one seeds, two fantastic quarterbacks who can put up points, some bend but don’t break defenses, and Archie Manning hovering above it all with his legacy on one side and his son on the other. Pretty good stuff, really. This particular Super Bowl doesn’t come with any large television markets attached, as Indianapolis and New Orleans are both relatively small NFL cities, but the Super Bowl is one event where it doesn’t even matter who is playing, people watch. It’s like a national holiday, and it really should be. This game should get a huge audience, and hopefully the game lives up to the usual Super Bowl hype. The lead up to this game has been rather quiet thus far. The biggest story is whether or not Colts defensive stud lineman Dwight Freeney is going go play. Freeney has an ankle injury, and even if he does play, it probably won't be at maximum efficiency. However, that story is boring, as is most of the lead up. The weather was bad, so media day was indoors, and nothing major of note happened. As far as the usual Super Bowl hype, to me it feels quite muted. Perhaps that's due to it actually being quiet, or perhaps I just haven't watched enough Sportscenter this week. Really the biggest pregame noise is being made by Tony Dungy, the coach of the Colts for many years who is now an analyst and who has said that he expects the Colts to win big. That would be humongous news if Dungy still was affiliated with the Colts, but since he no longer has any actual say in the organization, it's a little muted. Plus, he's probably right, I tend to agree with his assessment of the game. Really, I just hope that the Broncos hire Tony Dungy and then immediately get rid of him, because when Tony Dungy leaves a team, that team goes to the Super Bowl. It happened in Tampa where he coached for years, but then the first year he was gone the Bucs won it all; and now the season after leaving the Colts, some random guy named Jim Caldwell has the Colts in the big game. I'm telling you, Tony Dungy leaving your team is a good luck omen. I think the reason that the pregame buzz has been so quiet is because this game looks on paper to be a pretty good game. You have two number one seeds who clearly were the best teams in their respective conferences through the regular season facing off, and the prospects for a good game are strong. You have two terrific signal callers in Manning and Brees, and it shapes up to be a pretty good game. For what theoretically should be a pretty close game, pretty much everyone is riding the Colts. Oftentimes when everyone thinks that one team is going to win, they go out and lose just to make things interesting...of course, the other team also has something to do with it as well, but I'm leary of picking the Colts because EVERYONE is picking the Colts. The Saints have an explosive offense, they have a defense that isn't great, but can be very good when they have a lead to play with, and they have the collective good will of the majority of non-committed sports fans backing them. I have to admit, if I'm choosing this game with my heart, it's the Saints in a runaway. How do you root against Hurricane Katrina victims? There isn't a huge differential between these two squads. 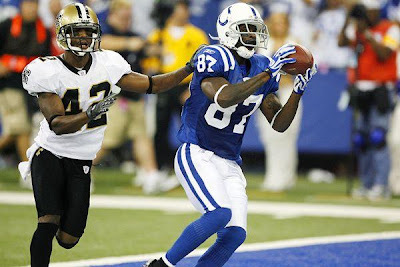 They both could win, and on paper, there is just as good a chance that the Saints win as the Colts. Unfortunately, they don't play these games on paper, they play them inside television sets. As much as I want to make the case for the Saints winning it all, when I look at the Colts there is one major thing that makes me take them. They are quarterbacked by a man who dominates football games, I have seen too many games in recent years where all things being equal, Peyton Manning wins the game. I think we're due for that to happen yet again. Congrats, lady. You're the Final "Stranger on a Train!" And then there were two... We’re down to the final power rankings of the season, which is sad for many reasons, foremost is that this will be the final random photo of some random stranger on the light rail train that will ever grace this blog. In case you were unaware, the reason that I kept posting weird photos of strangers riding public transportation on the blog was because that was this year’s “Random photo theme” for the power rankings. So enjoy this last photo, and these last rankings for the year. We’ll be back sometime in the preseason next year with more, but for now. Here is how the power lies…among the two teams that are left, with a little bonus blurb on the two teams that weren’t quite good enough to make it to the Super Bowl. Enjoy the big game on Sunday, and remember to savor it, as we won’t see meaningful NFL football again until early September. 1. Colts – Things were starting to compound on Indianapolis. The Jets had put together an 80 yard bomb to Braylon Edwards and a great trick play where Brad Smith faked an option run and pulled back and launched a 45 yard strike (okay, it floated like a duck, perhaps strike isn’t the right word, but it was complete) to Jerricho Cotchery which led to another touchdown. The Jets were up 17-6, and looked for all the world like they had an excellent shot to shock the world and somehow make it all the way to the Super Bowl. The Colts had just seen a 48 yard Jay Feely Field Goal split the uprights, and there were only two minutes remaining in the half. Things looked bleak, but then in strode Number Eighteen. Just like that, after rifling his way down the field with three completions to Austin Collie in less than a minute the last one resulting in a touchdown. BAM, Peyton Manning was suddenly in control of the game, and despite the fact that the Jets were up at the half, they were finished. You could tell the exact moment that Manning clicked into gear…it was a ridiculously accurate bomb right down the middle of the field to Austin Collie for 46 yards that broke the Jets spirit. After that play, the game was over, Manning decided that the Colts were going to the Super Bowl. He just decided it, and no one could argue. Peyton Manning has that rare ability to absolutely end a game in the second quarter with a cool confidence that destroys his opponents. The Jets still technically led the game 17-6, but you could stick a fork in them at that moment, because Manning was going to win, you could feel it. The second half unfolded exactly as expected, and the Jets ended up getting trounced by a 30-17 final score. It wasn’t really a blowout, as the Jets held a double digit lead at one point, and were within 3 in the fourth, but it wasn’t exactly NOT an upset either because at no time from the moment Manning dissected the Jets secondary for 46 yards did I think the Jets had even a remote chance of winning the game. The Colts dominated from that point on. The reason that the Colts must be listed as the Super Bowl favorite and the team at the top of the final Vertically Striped power rankings of the season is the quarterback. Drew Brees put up superior numbers, and he is a great quarterback in his own right. However, I have never seen Drew end a game in the 2nd quarter while trailing by 11. I know it sounds hokey, but Peyton Manning totally did that in the AFC Championship. It’s silly to ascribe super powers to mortal athletes, but there is something about the confidence that Manning possesses that puts him into the rarified air of a player like Michael Jordan…someone who is just a winner, someone who will not allow his team to lose. 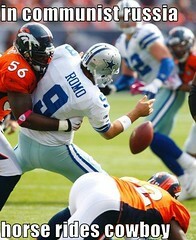 Take Manning off of these Colts, and they are a middle of the road team that may or may not make the postseason. With Peyton, the Colts are clearly the team to beat. He’s that important, and he is the sole reason that I have to place the Colts as number 1 in this week leading up to the big game with all the Roman numerals. 2. Saints – This team is exciting, and fast paced and fun. When they are on their game offensively, I have seen few teams who can keep up with their fast flying ways. They have a city that has spiritually rallied around them, and the Saints probably mean more to New Orleans right now than any professional team means to any community in the world. If you have a soul, and you aren’t a Colts fan, I have a hard time understanding how you could not be pulling for this team. The Saints are the spirit and symbol of a place that was ravaged by a horrible hurricane and are trying to fight their way back. Yes, I’m cheering for the black and gold on Sunday. However, despite the good vibes and spiritual optimism surrounding this team, they are still a group of football players who have to make it happen on the field on Sunday. In that regard, the Saints make me a little nervous. Clearly, they’re a stud team, but their defense is middling, and their offense is a lot like a Ferrari…when it’s engine is roaring it can fly, but it can be a bit temperamental, and sometimes it needs to go into the garage for repair. Against the Vikings, the Saints as a team rode a wave of crowd support and enjoyed the benefit of being plus four in the turnover differential. Had the Vikings not coughed the ball up five times, likely Minnesota and Brett Favre would be in Miami getting ready to figure out a way to try and beat the Colts. Even with those advantages, the Saints also needed boneheaded mistakes from the Vikings and a beneficial coin flip in order to win the NFC Championship. Vikings – I was watching the final quarter of the Saints-Vikings NFC Championship from the same restaurant that I saw the Giants-Packers NFC Championship two years earlier. Amazingly enough, the same exact thing happened…Just when it appeared that Brett Favre was on the cusp on qualifying his team for the Super Bowl, he threw up a terrible interception and ended his teams season. I was bummed two years previous, as I wanted the Packers to make it, but this year I was ecstatic. The people of Minnesota deserve better. After watching four Super Bowl losses (all before my time) and then seeing their chances to make Super Bowl 33 get blown by a shanked field goal against the Falcons in 1998, and seeing their team get throttled by the Giants 41-0 a few years later in another NFC Championship, those people have suffered too much already. With all apologies to those poor people of Minnesota, I was extremely happy. Favre is who we thought he was, and it only took until the final minutes of the NFC Championship for him to finally reveal himself. Now it’s on to another edition of the Brett Favre “will he or won’t he” retirement tease. Favre has proven over the past half-decade that he is a championship caliber Hamlet imitator, and now the fans in Minneapolis will get to live out his indecision for months. For now, he says he is “Very unlikely to return.” If you believe that will be the last word before a simple retirement announcement in a few weeks, you simply haven’t been paying attention to recent history. He’s playing well enough to come back, and it’s hard to deny that the NFL is more interesting when he’s around. I guess despite the fact that I love rooting against the guy, I do kind of hope he comes back.